SPACIOUS 3 STORY TOWNHOUSE IN NICE QUIET DEVELOPMENT. CLOSE TO STATEN ISLAND MALL. MANY UPGRADES. LIVING SPACE IS ALMOST 2, 282 SQ FT. BRAND NEW HOT WATER HEATER AND NEW FURNACE FOR HEAT AND CENTRAL AIR. 1ST LEVEL HOSTS GARAGE, LAUNDRY AREA, UTILITY AREA, 1/2 BATH AND LARGE FAMILY ROOM WITH BEAUTIFUL FIREPLACE AND SLIDING GLASS DOORS TO BEAUTIFUL YARD. 2ND LEVEL HOSTS LIVING ROOM, FORMAL DINING ROOM, 1/2 BATH AND EAT IN KITCHEN WITH STAINLESS STEEL APPLIANCES. 3RD LEVEL HOSTS 3 BEDROOMS, FULL BATH WITH 2 SHOWERS AND ATTIC FOR STORAGE. THIS IS A WONDERFUL DEVELOPMENT WITH LOW HOA FEES AND AMENITIES THAT INCLUDE PLAYGROUND, POOL, TENNIS COURT AND CLUBHOUSE. 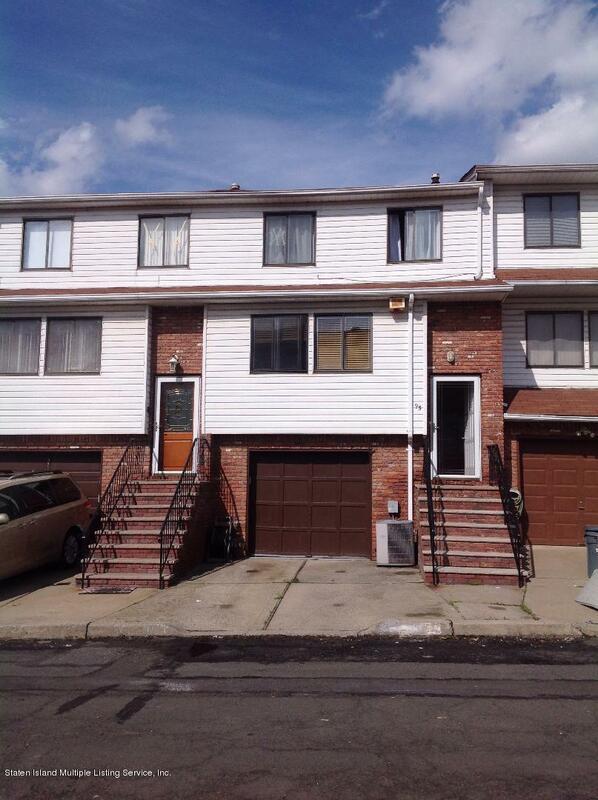 THIS HOME IS A CLOSE DISTANCE TO SHOPPING AND EXPRESS BUSES AND THE SI MALL. THIS SPACIOUS CONDO HAS A LOT TO SEE! !